The CWHC Atlantic node has a new Regional Director. Dr. Megan Jones succeeds Dr. Pierre-Yves Daoust, who retired in early 2018. Megan is a Newfoundlander who graduated from the Atlantic Veterinary College in 2005 and then pursued a residency in wildlife and zoo pathology through a joint program at the University of California, Davis, and San Diego Zoo Global, California. Following her residency, she did a two-year pathology fellowship at the San Diego Zoo Institute for Conservation Research, focusing on health issues of amphibians. She then completed her PhD at the University of Georgia, where she studied filoviruses (Ebola and Marburg viruses) in bats with the US Centers for Disease Control and Prevention (CDC). After her PhD, she returned to San Diego to become a staff wildlife pathologist at the San Diego Zoo Institute for Conservation Research, where her duties included providing support to the Zoo’s many wildlife conservation programs. Megan joined CWHC Atlantic in late February, 2018. She is very happy to be home in Atlantic Canada, and is particularly excited to be back on PEI working with a dedicated team to support wildlife health in the region. 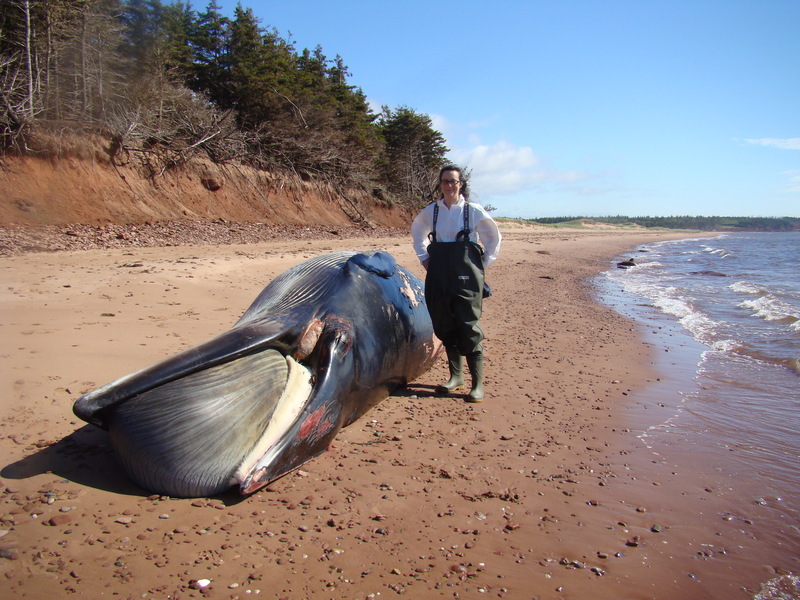 Megan is no stranger to the CWHC: back in 2003, she was employed as the wildlife pathology summer student for CWHC Atlantic (then CCWHC). She attributes her decision to become a wildlife pathologist to that summer’s illuminating experience in the lab and the field.